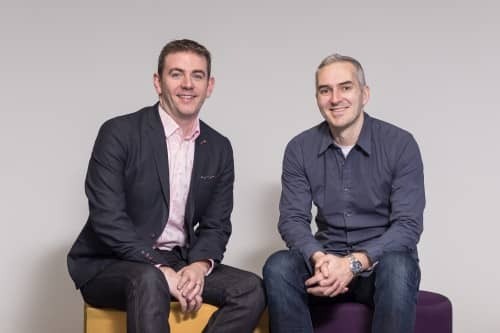 Fast growing data analytics company Aquila Insight has moved into the former offices of FanDuel in Edinburgh’s CodeBase incubator to supports its rapid expansion. The firm, which is headquartered in Edinburgh and has offices in London and Derby, has also rebranded to mark a new chapter as it approaches its fourth birthday. Aquila Insight currently employs more than 75 staff in its UK offices and is expecting headcount to double in the next 12 months, with growth fuelled by an increase in data innovation in business. Earlier this year it reported turnover had increased by more than 100 per cent to £4.2 million for 2015/16, up from £1.9 million in 2014/15. Warwick Beresford-Jones, co-founder and managing partner of Aquila Insight, said: “We have big plans to expand further this year and we now have space to do it. The move, alongside the rebrand and our recent award wins, marks the start of an exciting new phase in Aquila Insight’s history. As we move into new markets, we are always on the look out for young talent and experienced practitioners to work on a number of exciting projects. John Brodie and Warwick Beresford-Jones launched Aquila Insight in 2012 with the determination to create a new model of analytics. Its consultants use data, advanced analytical techniques and cutting edge technology to create insight and ideas that help clients make the perfect connection with each and every one of their customers. Located on Edinburgh’s Castle Terrace, CodeBase is the UK’s largest technology incubator and one of the fastest growing in Europe. Other tenants include Administrate, Float, and ZoneFox.